Swoop on June 20, 2018 celebrated the debut of its ultra-low-cost carrier (ULCC) services in Canada with its inaugural flight between John C. Munro Hamilton International Airport (YHM) and Abbotsford International Airport (YXX), and precedes Swoop’s second inaugural flight pairing of the day, from Hamilton to Halifax Stanfield International Airport (YHZ), Atlantic Canada’s gateway. Steven will join media and travellers on the inaugural flight from Hamilton to Abbotsford, attending celebratory events in both cities. † Service begins July 25, 2018. Service between Winnipeg and Abbotsford begins August 16, 2018. This entry was posted in Swoop and tagged Hamilton, Swoop on June 20, 2018 by Bruce Drum. WestJet (Calgary) has announced new nonstop, twice-weekly service between Abbotsford, British Columbia and Las Vegas, set to launch on October 29, 2015. Copyright Photo: TMK Photography/AirlinersGallery.com. WestJet Airlines Boeing 737-7CT WL C-FEWJ (msn 32769) departs from Hamilton. 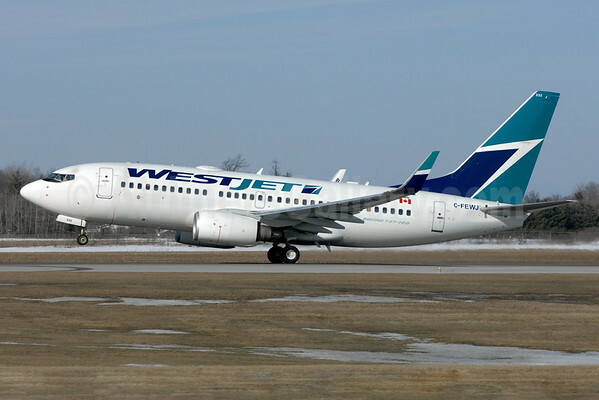 This entry was posted in WestJet and tagged 32769, 737, 737-700, 737-7CT, Abbotsford, Boeing, Boeing 737, Boeing 737-700, C-FEWJ, Hamilton, Las Vegas, WestJet, YHM on April 29, 2015 by Bruce Drum. 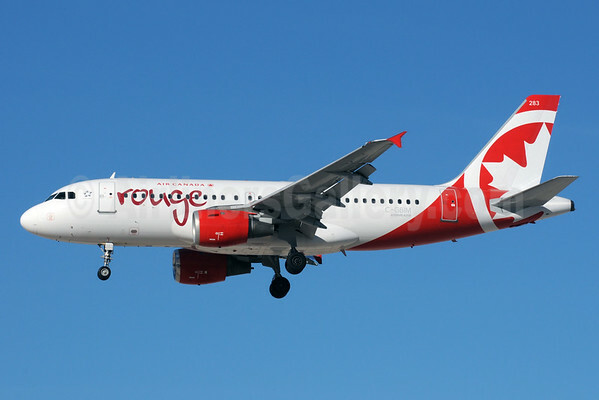 Air Canada (Montreal) has announced it will launch this summer, new, year-round Air Canada rouge services between Hamilton and Calgary and seasonal service between Toronto Pearson and Abbotsford. The new daily nonstop services will begin operating on June 27, 2015. 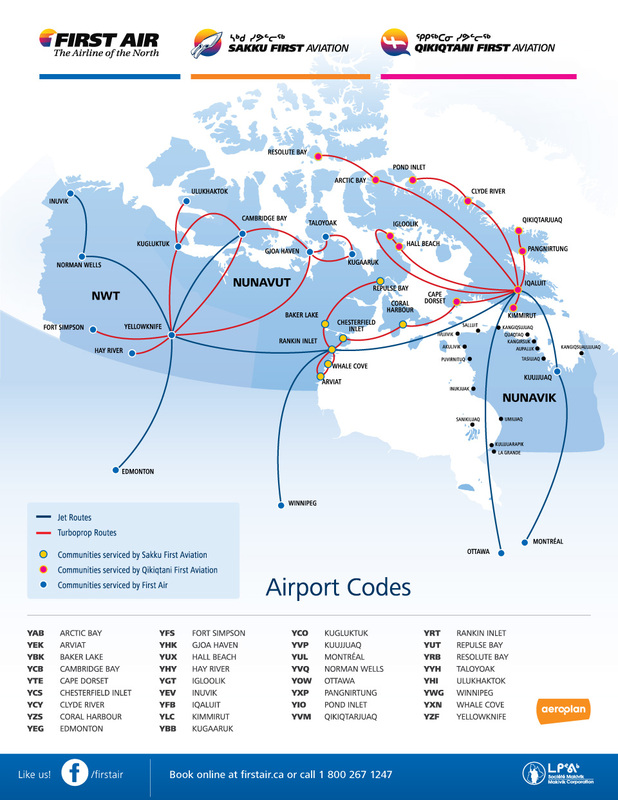 Air Canada rouge will operate both routes with Airbus A319 aircraft with 136 seats offering two comfort choices: 12 Premium rouge seats‎ in the front cabin with enhanced service and personal space; and 124 rouge seats in the second cabin. Copyright Photo: Bruce Drum/AirlinersGallery.com. Airbus A319-114 C-GBIM (msn 840) arrives in Las Vegas. This entry was posted in Air Canada, Air Canada rouge and tagged 840, A319, A319-100, A319-114, Abbotsford, Air Canada, Air Canada rouge, Airbus, Airbus A319, Airbus A319-100, C-GBIM, Calgary, Hamilton, LAS, Las Vegas, Pearson, Toronto, toronto pearson on February 7, 2015 by Bruce Drum. 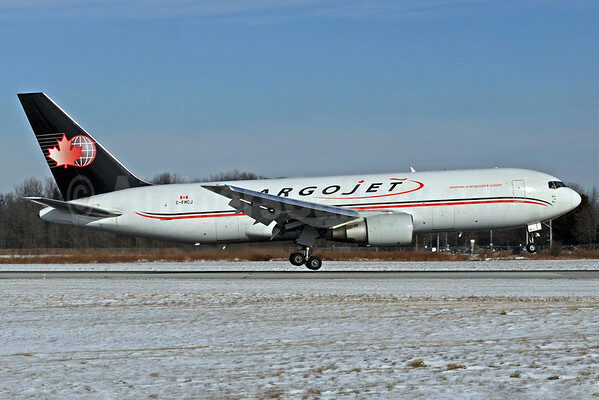 Air Transport Services Group, Inc. (Wilmington, Ohio), the sister company of ABX Air and ATI, has announced it has signed a new agreement with Cargojet Airways (Hamilton, Ontario), Canada’s cargo airline, to lease two Boeing 767-200 ER freighters. Cargojet currently dry-leases two Boeing 767-200 freighters from ATSG’s subsidiary Cargo Aircraft Management Inc. (CAM) under long-term agreements. Cargojet has signed agreements to dry-lease an additional two Boeing 767-200 freighters from CAM, for up to three years. The first aircraft is expected to be delivered by the end of the second quarter, with the second aircraft delivering early in the third quarter. 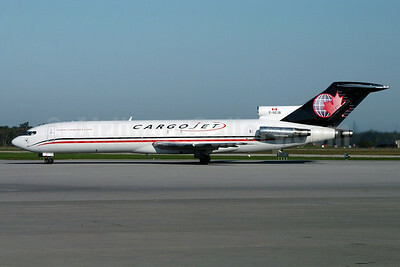 Cargojet is currently in the process of a fleet renewal plan. Leasing these two additional 767-200 freighters is part of the company’s current growth strategy. 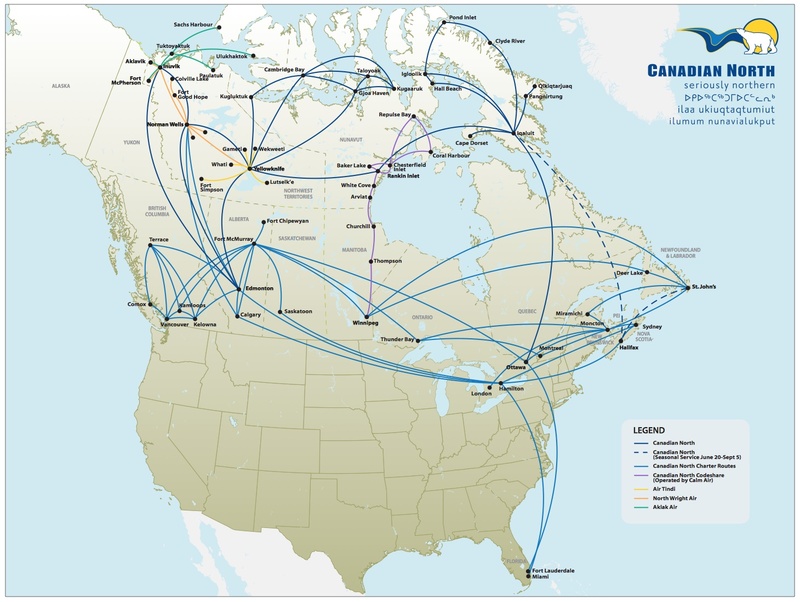 The cargo airline is gearing up its fleet for the upcoming Canada Post/Purolator contract. The airline is also phasing out its Boeing 727 freighter fleet, one of the last operators of the trijet in North America. Copyright Photo: Reinhard Zinabold/AirlinersGallery.com. Formerly operated by American Airlines, Boeing 767-223 (F) C-FMCJ (msn 22316) is pictured landing at the Hamilton base. This entry was posted in Cargojet Airways and tagged 22316, 767, 767-200, 767-200F, 767-223, Air Transport Services Group, Boeing, Boeing 767, Boeing 767-200, Boeing 767-200F, C-FMCJ, Cargo Aircraft Management Inc., Cargojet, Cargojet Airways, Hamilton, Inc., YHM on May 9, 2014 by Bruce Drum. Makivik Corporation and NorTerra Inc., respectively the shareholders of First Air (Ottawa) and Canadian North (Yellowknife), have agreed to hold discussions leading to the merger of their operations consistent with a merger of equals, subject to the successful conclusion of negotiations and regulatory review. Makivik Corporation and NorTerra Inc. will inform the public as discussions progress. Top Copyright Photo: TMK Photography/AirlinersGallery.com. Formerly operated by KLM, Boeing 737-406 C-FFNC (msn 27232) of First Air taxies at Hamilton, Ontario. Bottom Copyright Photo: Gilbert Hechema/AirlinersGallery.com. 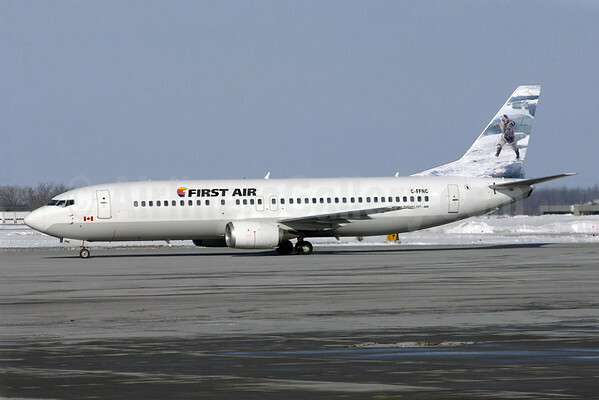 First Air’s Boeing 737-25A C-GCNO (msn 23790) climbs away from the runway at Montreal (Trudeau). This entry was posted in Canadian North, First Air and tagged 23790, 27232, 737, 737-200, 737-25A, 737-400, 737-406, Boeing, Boeing 737, Boeing 737-400, C-FFNC, C-GCNO, Canadian North, First Air, Hamilton, Makivik Corporation, Merger, Montreal, NorTerra Inc., Trudeau, YHM, YUL on April 12, 2014 by Bruce Drum. 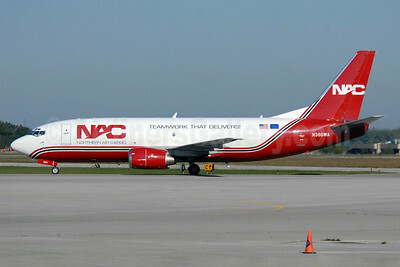 Northern Air Cargo-NAC (Anchorage) on June 18 leased its second Boeing 737-300 freighter. Boeing 737-301 (SF) N361NC (msn 23260) was formerly operated by Bluebird Cargo as TF-BBI. GE Capital Aviation Services (GECAS), the commercial aircraft leasing and financing arm of GE, leased the freighter to NAC, a new customer for GECAS. 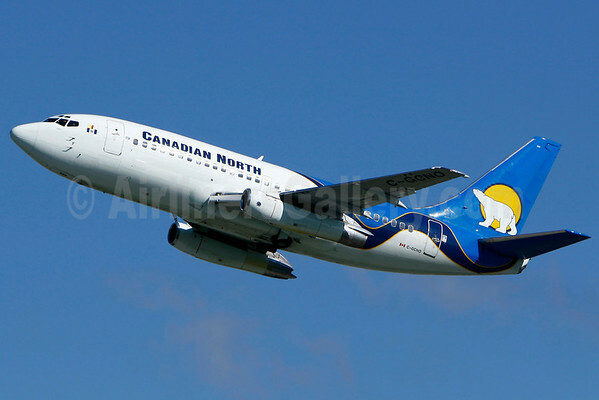 The aircraft will be used to upgrade and expand Northern Air Cargo’s fleet. 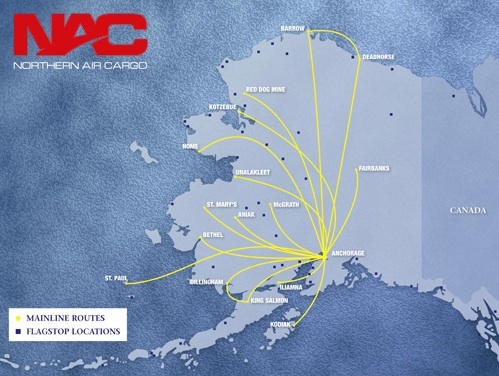 Privately held Northern Air Cargo operates scheduled freight service to destinations in Alaska and the Pacific Northwest as well as charter freight service to other locations throughout North America. The carrier operates a fleet of five cargo aircraft. Copyright Photo: TMK Photography. The pictured Boeing 737-301 (SF) N360WA (msn 23553) was the first, delivered on October 28, 2010. This entry was posted in NAC-Northern Air Cargo and tagged 23553, 737, 737300, 737300F, 737301, aviation, Boeing, Boeing 737, Boeing 737-300, Boeing 737300, Boeing 737300F, ge capital aviation services, Hamilton, N360WA, NAC, NAC-Northern Air Cargo, Northern Air Cargo, transportation, YHM on July 3, 2012 by Bruce Drum.